In the UK, if you’re convicted of a motoring offence, you can be fined and have your driving record ‘endorsed’ with penalty points. Depending on the offence you’re convicted of, fines or endorsements must stay on your driving record from 4 to 11 years, according to Gov.uk. The more serious the offence you commit, the more points you receive on your licence. For example, Gov.uk say that if you’re caught driving a vehicle with a defective tyre you’ll receive three points, while if you’re in charge of a vehicle with your alcohol level above the legal limit you can receive 10 points on your licence. Each endorsement, or offence, has its own code and its own scale of penalty points, between one and 11. Some offences may also involve a disqualification in serious cases. Take a look at Gov.uk’s detailed table to offence codes and penalty points for more information about the penalty points attributed to each offence. If you acquire 12 or more penalty points within a three-year period then you can be disqualified from driving altogether. However, for new drivers, your licence can be revoked if you get six or more points in the first two years after passing your test. If this happens to you, and your licence is taken away, you’ll have to apply for a new provisional licence and pass both the theory and practical test again in order to get your full licence back and be legal to get behind the wheel. You can also get points on your provisional licence before you pass. If this happens, these points will be carried over to your full licence when you pass your test. However, Gov.uk advise that your licence will be revoked if you get any further penalty points that take you up to a total of six or more within two years of passing your driving test. If you have any motoring convictions, driving licence endorsements or fixed penalties (endorsed on your driving licence), or if you have been disqualified from driving in the last 5 years, then you have to declare these to your insurance provider. This often means that the cost of your insurance premium will increase, as you will be seen as a higher risk. The more points you have, the higher your premium is likely to be, advise MoneySupermarket.com. How much your premium increases will depend on a number of things, including the type of conviction, type of vehicle, how old you are and each individual insurance company’s conviction policy. Drive at a safe speed for the road: Speeding is one of the biggest factors in road accident fatalities, so making sure that you drive at a speed that is safe and appropriate for the road and conditions is vital. Check out this article for more information about speeding and how to avoid it. Never drink and drive: According to THINK!, any amount of alcohol affects your ability to drive. If you’re convicted of drink driving then you can receive an endorsement on your licence for 11 years, as well as risk a driving ban, a large fine and a criminal record. Learn more about the dangers of drink driving here. Concentrate on your driving not your mobile or your friends: Driving while distracted can be very dangerous. This means driving while paying attention to a second activity, such as using a mobile, being distracted by other passengers or fiddling with a sat nav. Our guide to driver distractions has helpful advice about how to identify, and deal with, distractions. 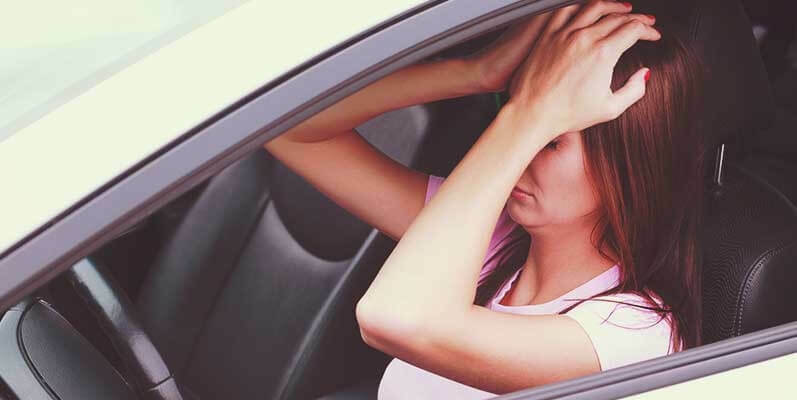 Don’t drive when you’re tired: Research suggests that being tired behind the wheel can be as bad as drink driving, which is why it’s important to make sure that you avoid driving whilst feeling fatigued. In our article about driving when you’re tired we share some tips on how to avoid this in order to stay safe. New and young driver car insurance from insurethebox is designed to encourage and reward safe driving through a positive approach. We don’t use fines or curfews; instead we reward safe drivers. Safe driving can not only earn you Bonus Miles and the opportunity to save money when it comes to renewing your policy, but it also helps to reduce road accidents for all road users, and ultimately save lives. Get a quote from insurethebox to see if we can help you stay safe and save money on your car insurance.